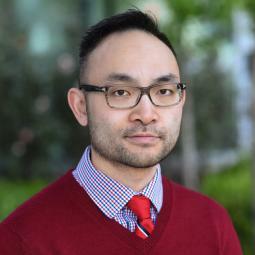 Dr Todd P Chang, MD MAcM is Associate Professor of Pediatrics and Medical Education in the Keck School of Medicine at University of Southeast California, and works clinically in the Division of Emergency Medicine & Transport at Children’s Hospital Los Angeles. Most recently, he and his research / development team is piloting a multi-center / multi-national expansion of VR simulation for low-frequency, high-stakes resuscitation training throughout the US, Austria, and Switzerland. He is a leading expert in physician training and assessment using educational technologies including distance learning, simulation, serious games, and virtual reality, having completed multiple multi-national grant-funded studies and over 50 scientific publications. Dr Chang aims for scientific evidence and proof of concept for all technological innovation in healthcare. He is the academic scholarship side of the current efforts with Dr Josh Sherman to implement VR at CHLA and with the healthcare provider community.